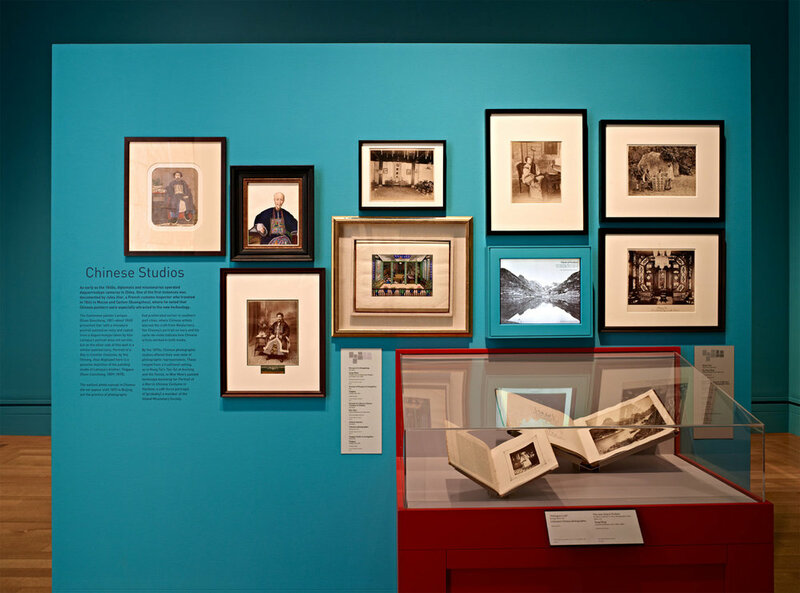 Brush & Shutter: Early Photography in China takes its name from the way that the medium of photography was learned and readily adapted by Chinese export painters, who grafted this new technology onto traditional conventions. Taking inspiration from the jewel-tones of Chinese over-painted photographs, bold color and stark contrast worked as sectioning devices in laying out the gallery. 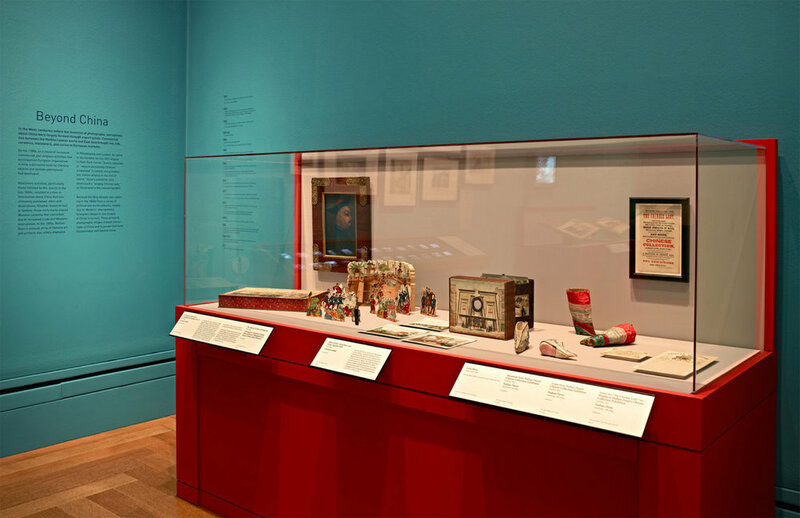 A dense salon-style hang, including many oversized panoramas, became the solution to a small gallery meant to showcase an enormous amount of rarely seen work. In addition, visitors were able to access entire albums via slideshows on video monitors. 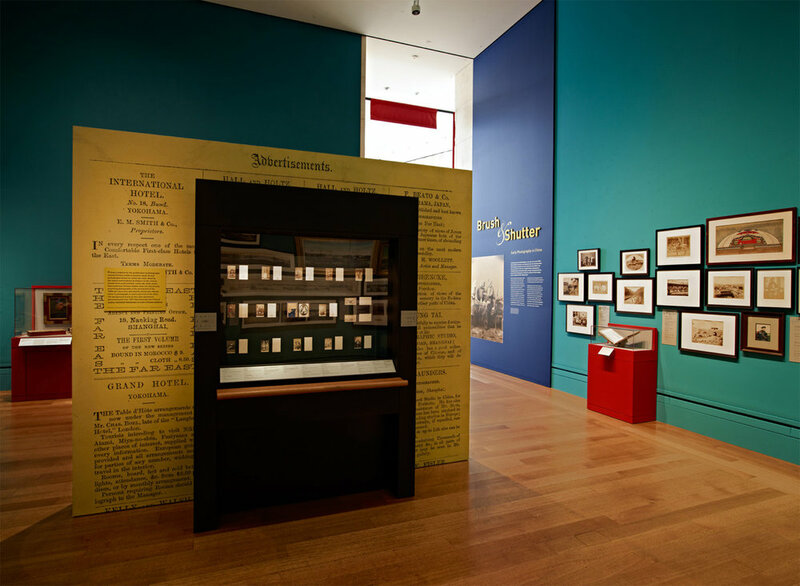 Specialized display cases were designed and fabricated to showcase small glass lantern slides and daguerreotypes.